OnePlus didn’t exactly reinvent its last flagship to create the OnePlus 5T, but the phone is still in the high-end segment. The company didn’t spare much. 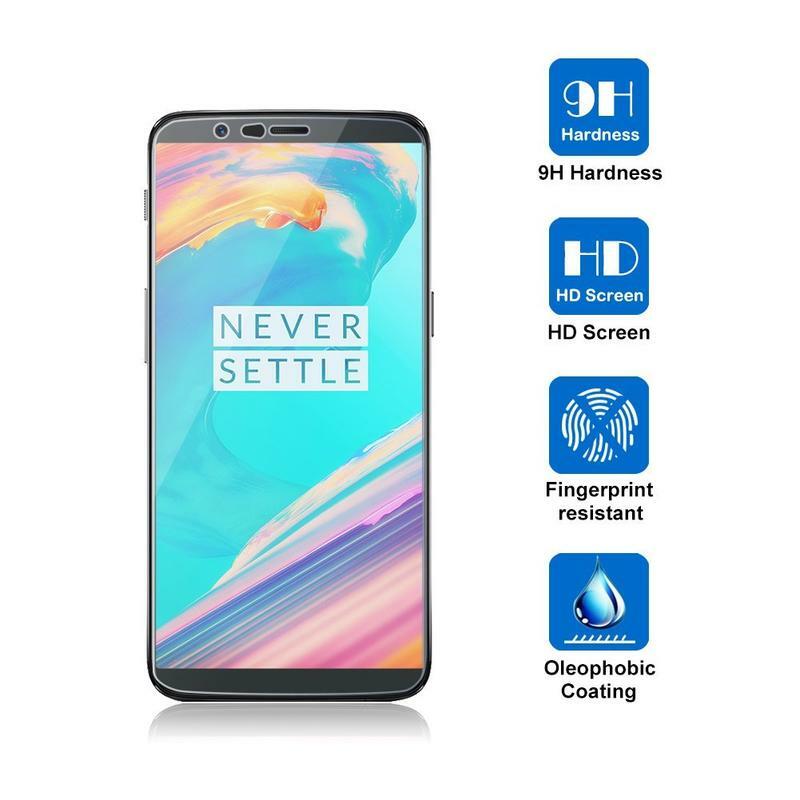 It features internal specifications you’d expect from a modern flagship. But, while the aluminum body is pretty durable, it’s the front glass you should be worried about. That display is begging to be scratched, cracked, or shattered. So don’t hesitate to pick up a screen protector. This simple accessory will add slim-but-important protection to your phone. 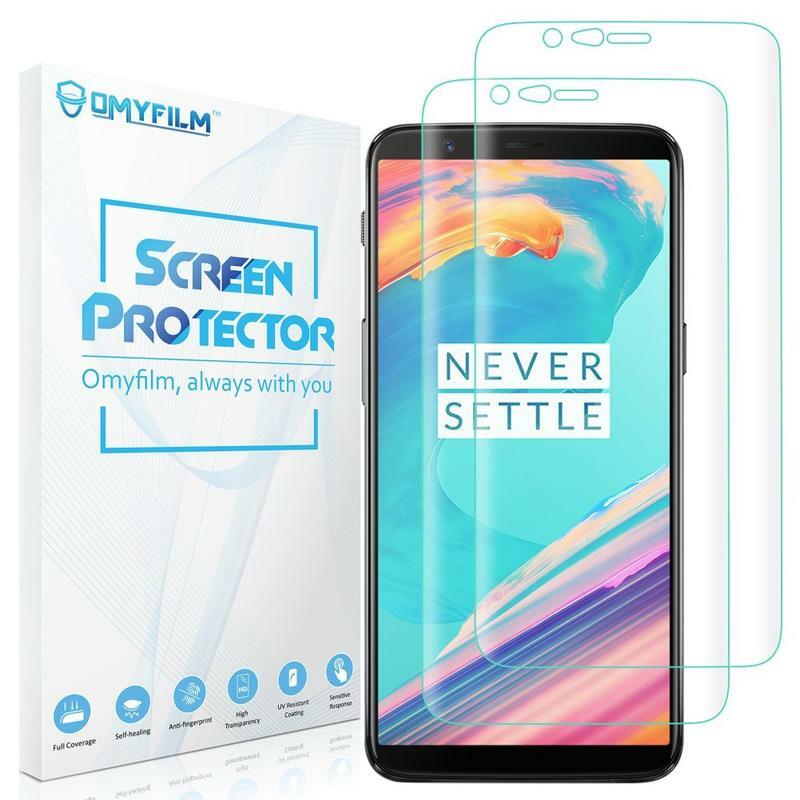 Here are some of the best screen protectors for your OnePlus 5T. Most companies make cases for their own phones. First-party screen protectors, however, are a little difficult to come by. 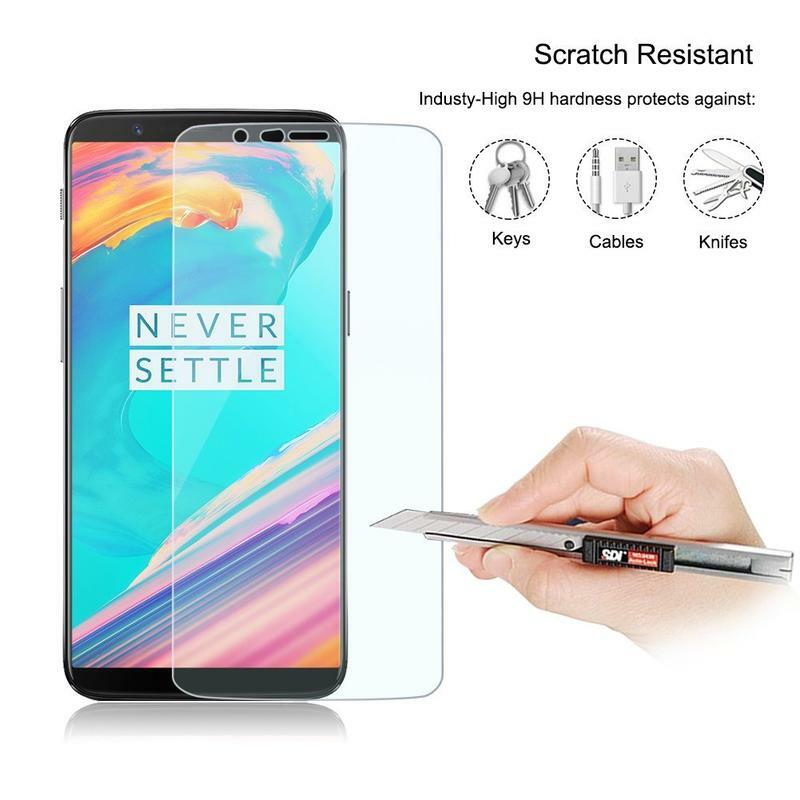 OnePlus does indeed sell its a screen protector made for the OnePlus 5T. 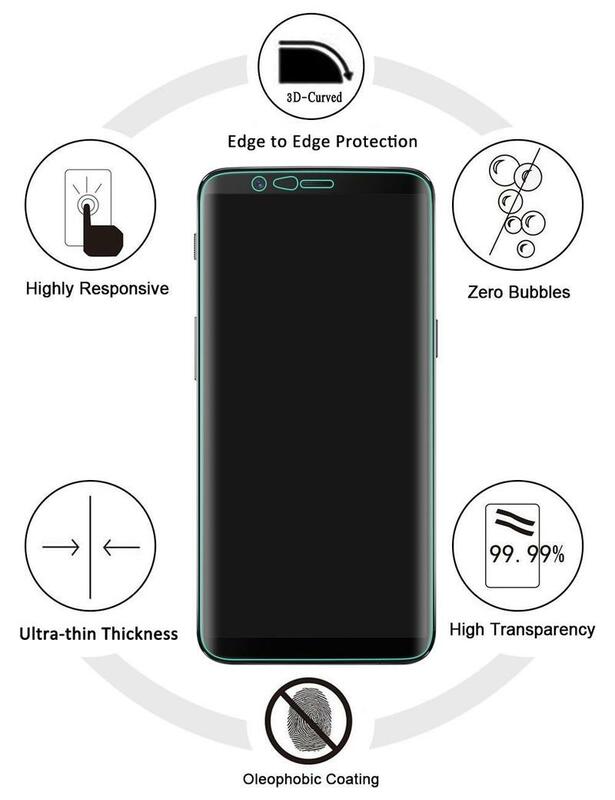 It’s of the tempered glass variety, and it offers total edge-to-edge protection. 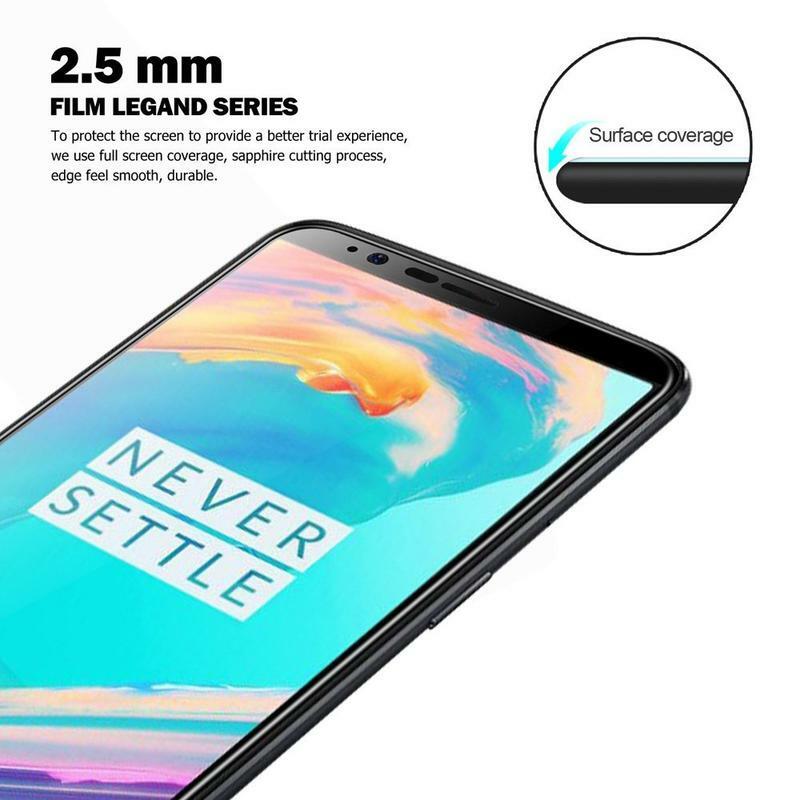 You’re getting total protection on the front of the phone, which is handy considering OnePlus implemented an all-screen design with slim top and bottom bezels. 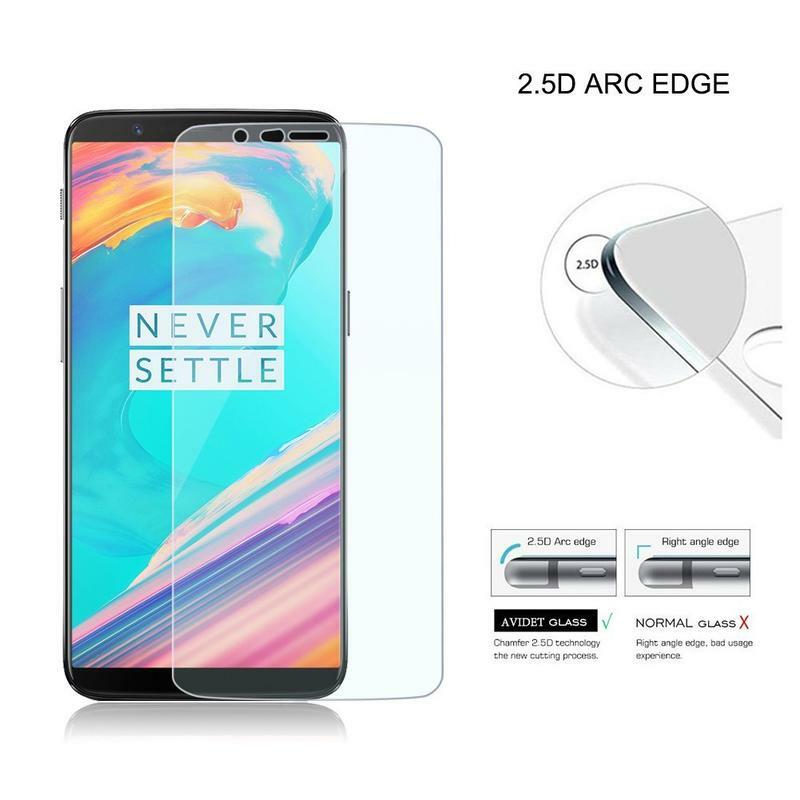 If you’re wary of third-party brands, just pick up OnePlus’ 3D Tempered Glass screen protector. It’s expensive, but you’ll find the piece of mind worth the extra money. 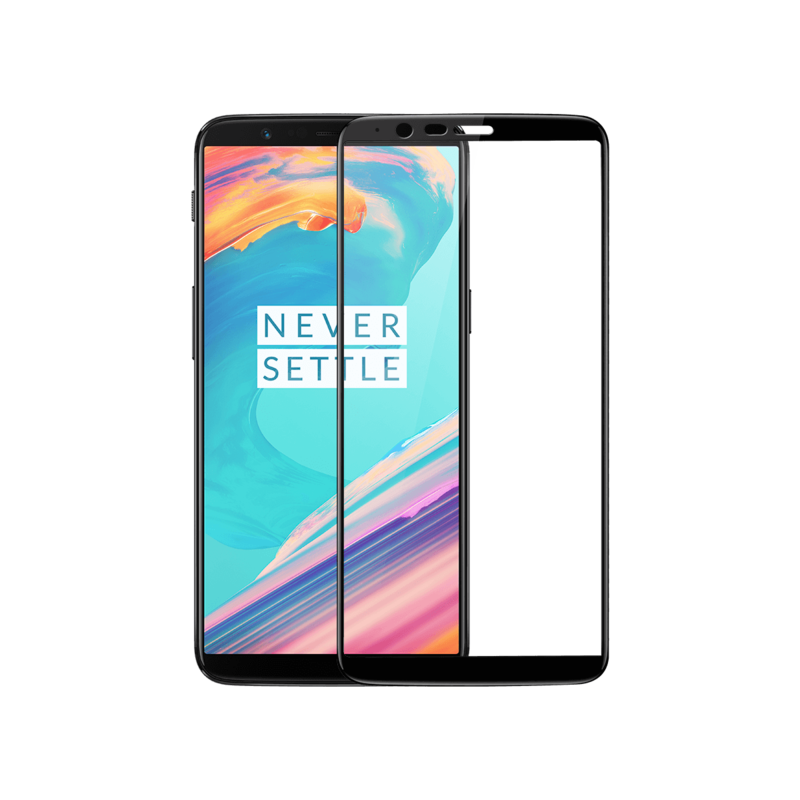 The screen protector will fit perfectly because the company behind the OnePlus 5T is making it. 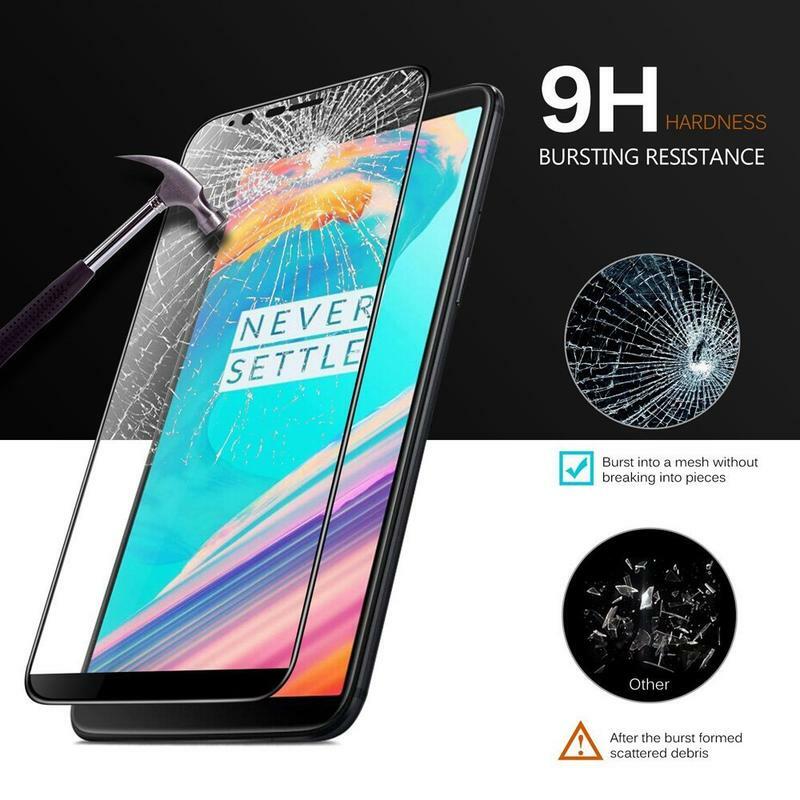 And, with its 9H hardness, you know cracks and scratches will struggle to ruin your phone. 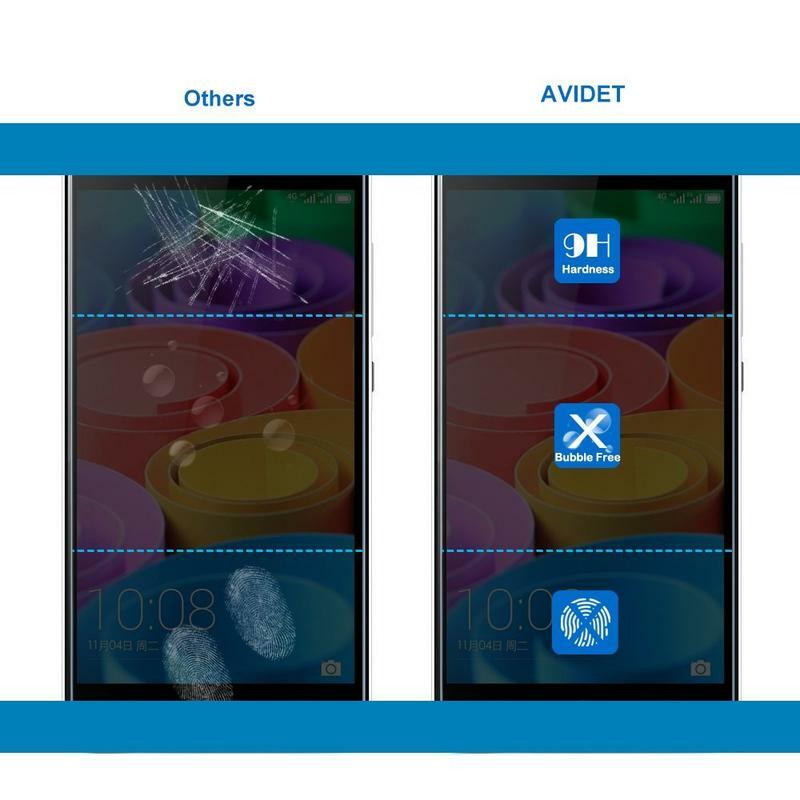 It can sometimes cost a lot of money to get a tempered glass-based screen protector, but AVIDET is charging so much for its offering. Here you’re getting a two-pack for $9. 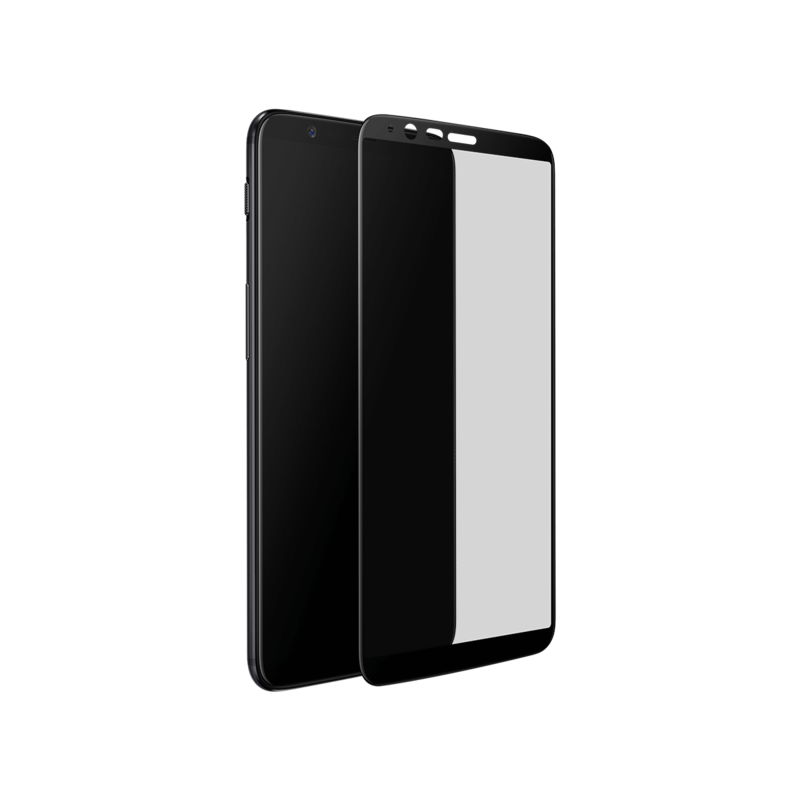 The two screen protectors included have 9H hardness, measure 0.3mm thin, and proclaim 99.9% transparency. 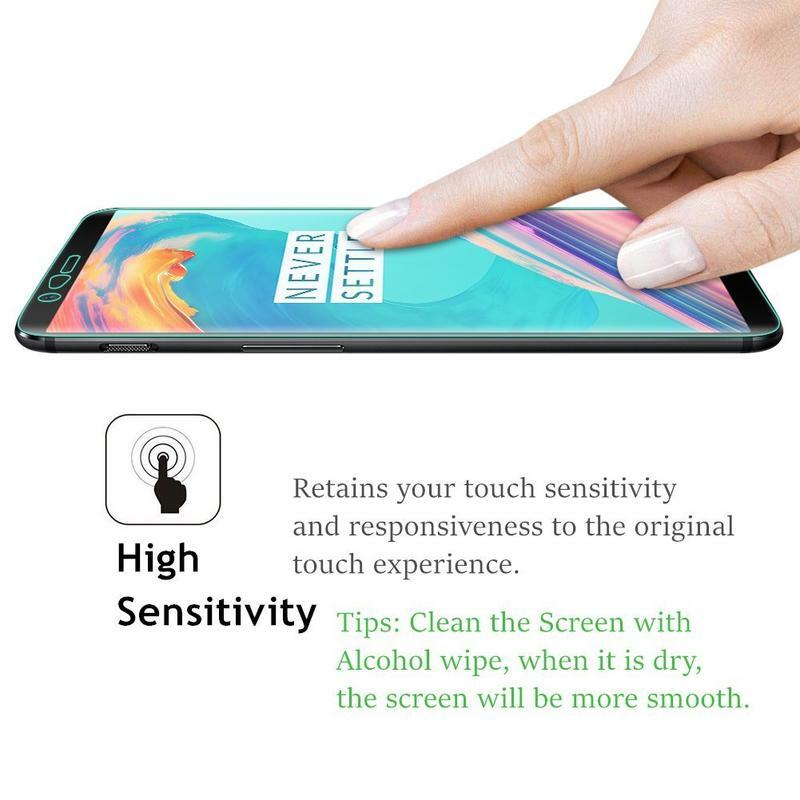 Of course the screen protector also maintains touchscreen sensitivity and protects against fingerprints, dirt, and sharp objects. 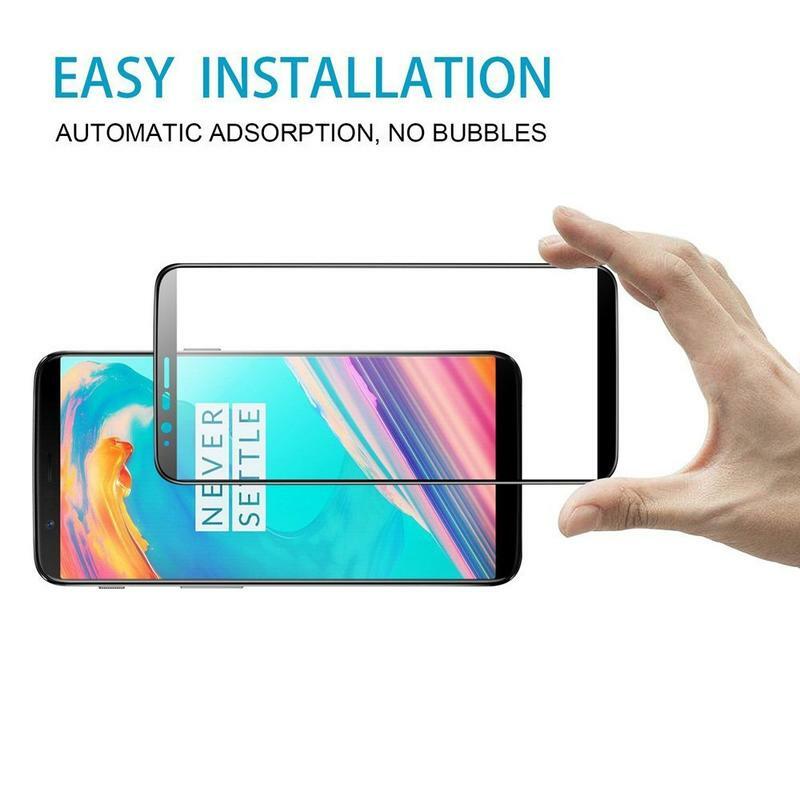 Need a simple screen protector? We’ve got one recommended for you. 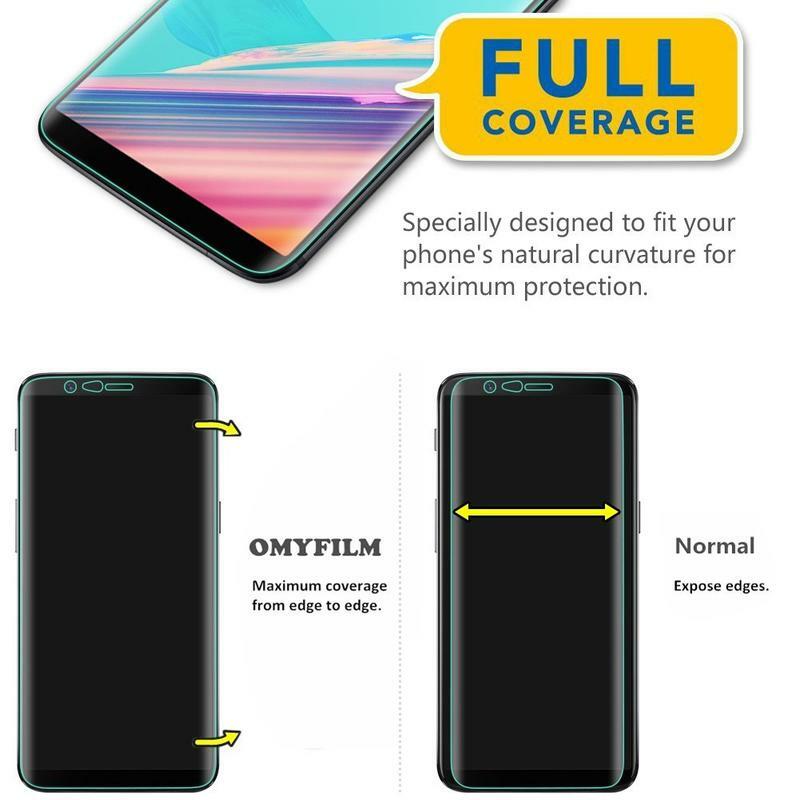 It’s OMYFILM’s TPU Film screen protector. 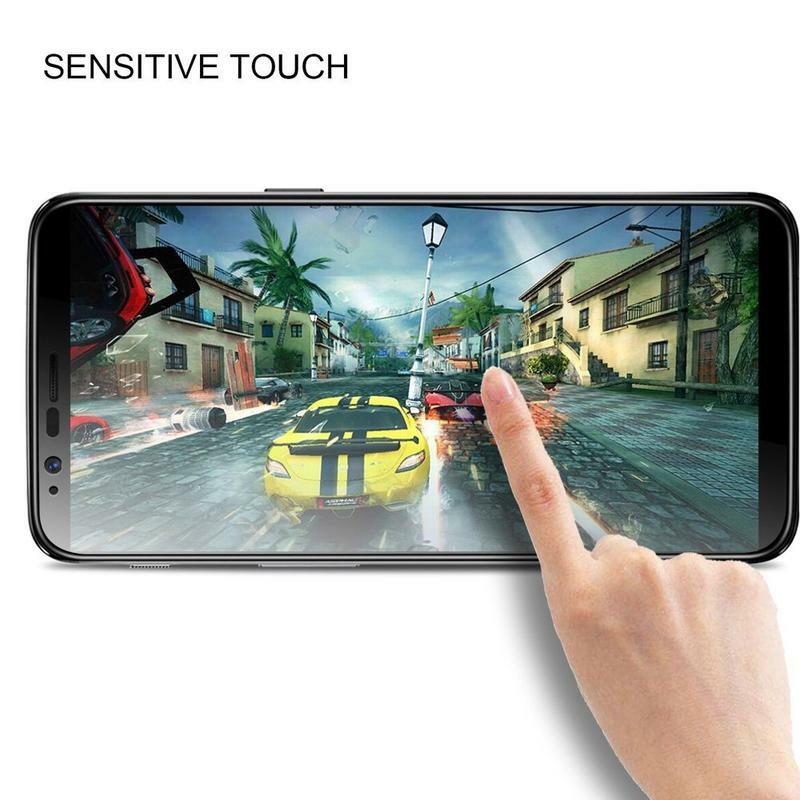 It’s not made of tempered glass, and that’s fine because not everyone loves the thicker, more durable material. 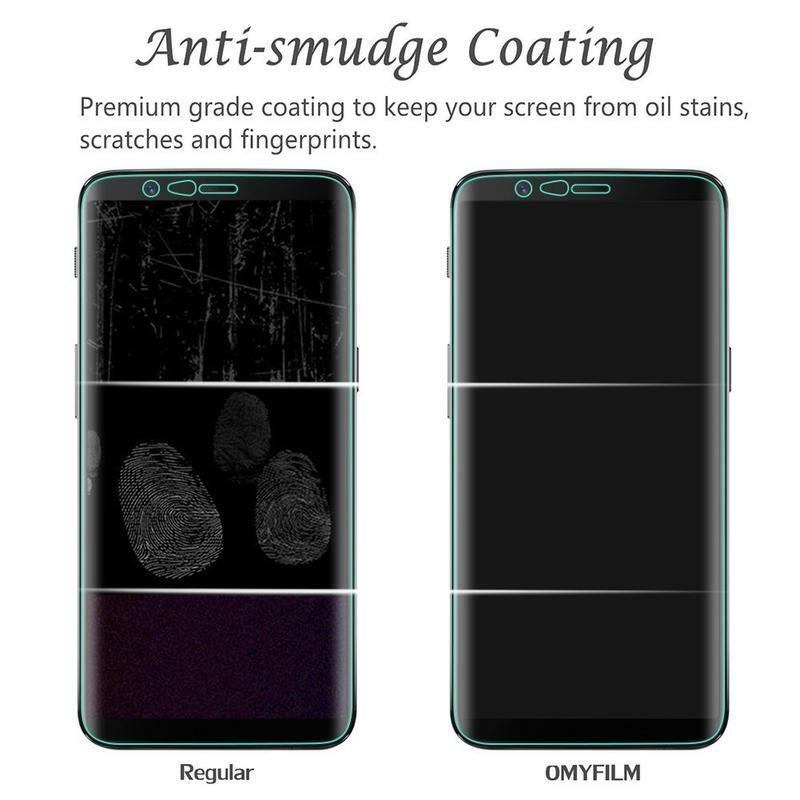 This screen protector instead focuses on resisting stains, dust, fingerprints, bubbles, and scratches. 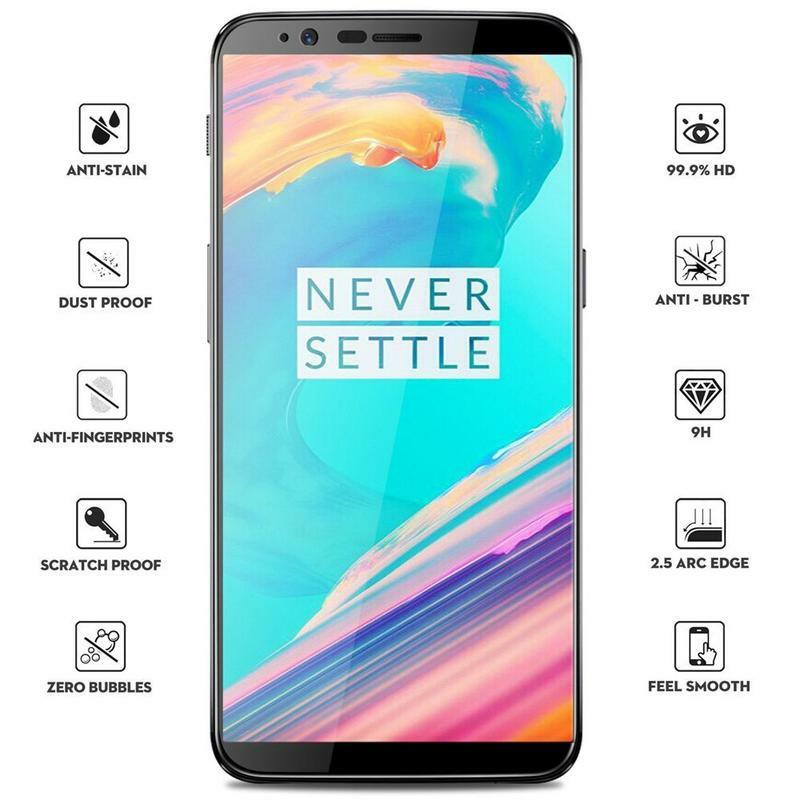 Unless you’re someone who often drops your phone, you’ll be just fine using this screen protector with the OnePlus 5T. Couls is a top pick among buyers on Amazon. 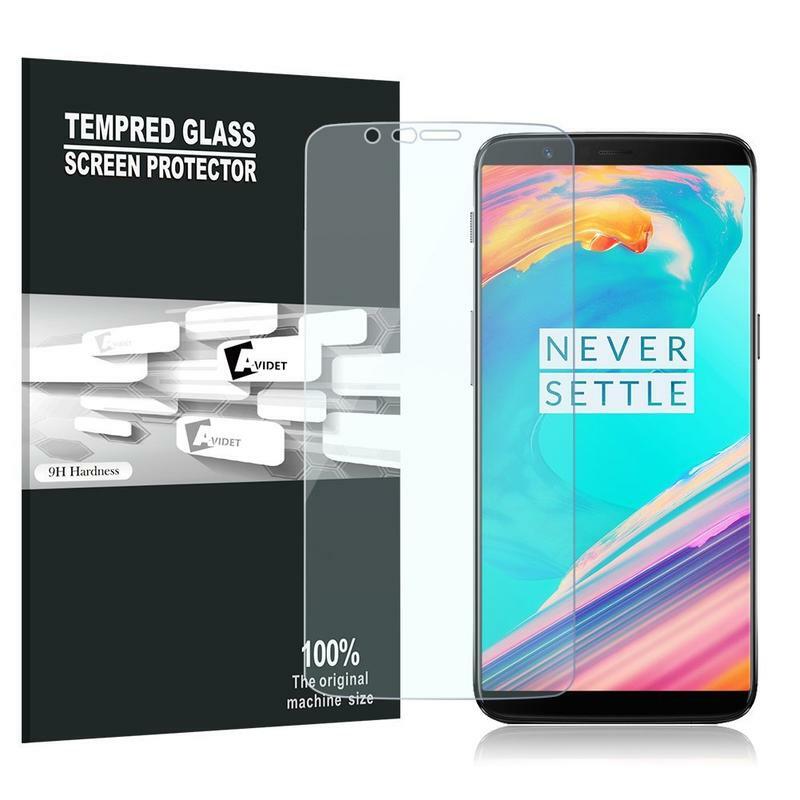 It has a 5-star rating, and that’s because you’re getting full coverage from an inexpensive tempered glass-based screen protector. 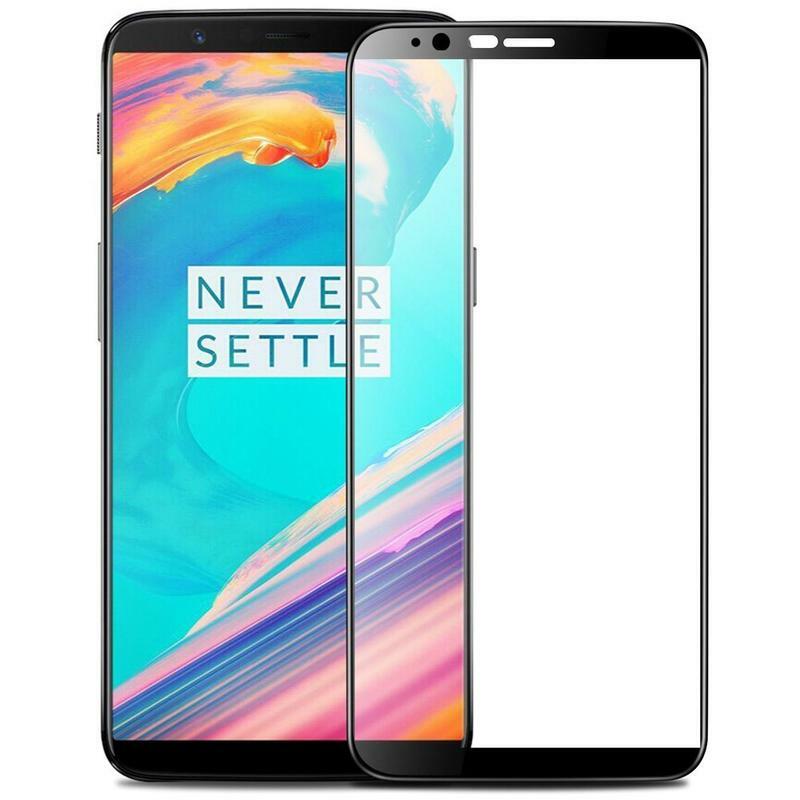 The brand also didn’t apply black-colored top and bottom bezels to align with the OnePlus 5T’s forehead and chin. 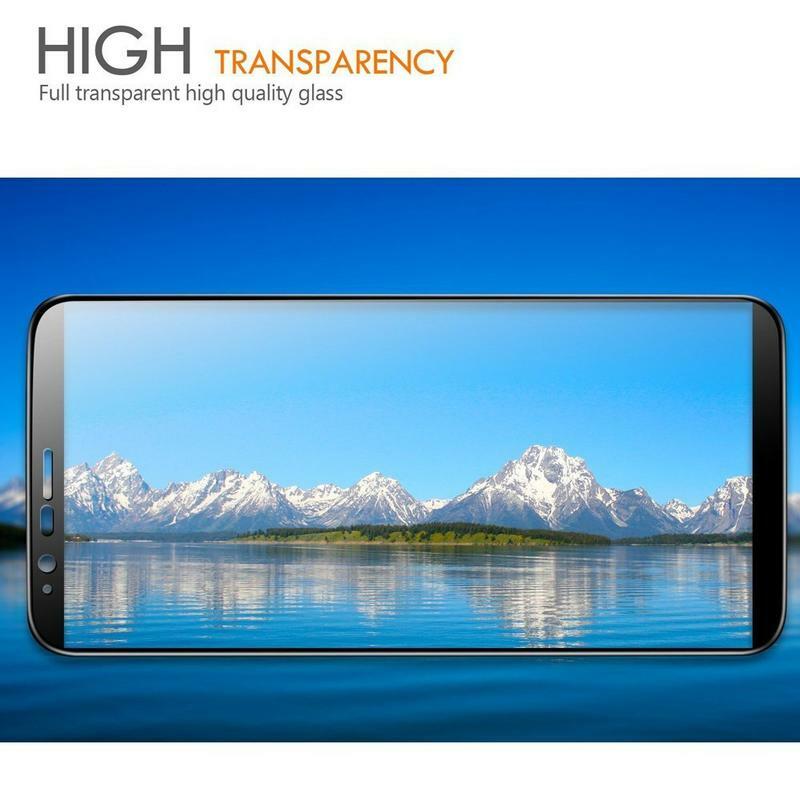 It’s a completely transparent screen protector that keeps you and the phone’s 6-inch Full HD+ (2160×1080) Optic AMOLED display as close as possible. OMYFILM also sells a two-pack, and you’ll save $3 if you opt for that. There’s no reason to not pick up two at the same time. In the months and years ahead, maybe your screen protectors will get worn and need to be refreshed. 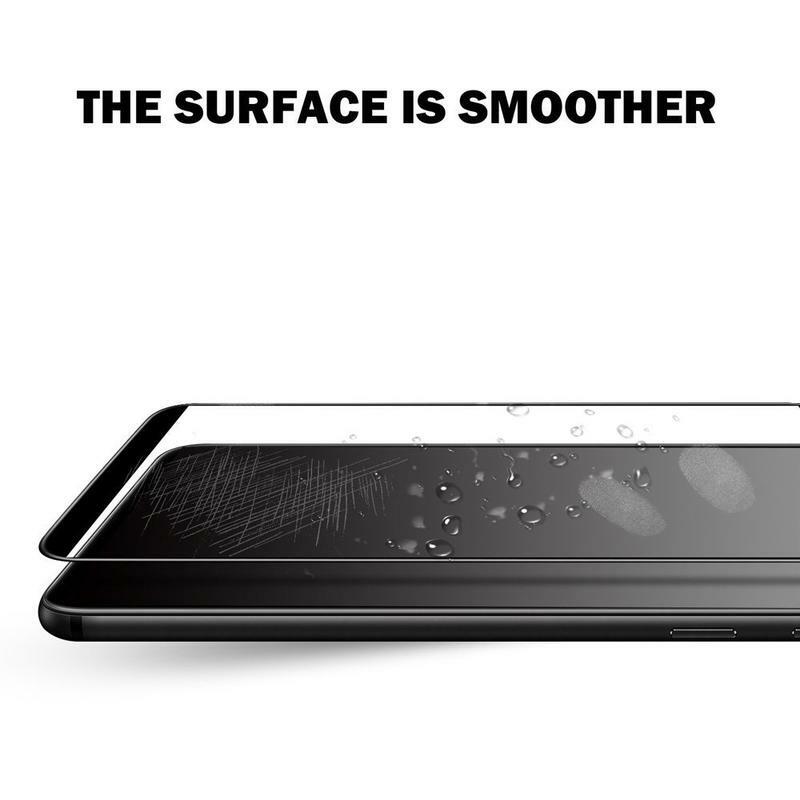 You’ll be ready for a quick replacement as long as you have a second screen protector on standby.